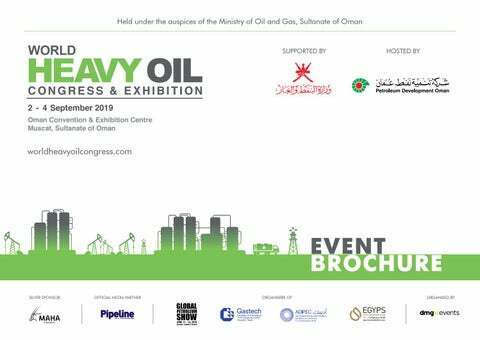 Occidental is honoured to attend the World Heavy Oil Congress and Exhibition (WHOC). For more than a dozen years, we have had the privilege of operating Mukhaizna, a heavy oil field that is also the largest oil field in the country. Our employees have developed tremendous expertise in heavy oil, particularly the Omanis we have been fortunate to hire and train from the concession areas where we operate. They have developed unparallelled experience in the region, and are a tremendous asset to us and to Oman. WHOC provides excellent opportunities for knowledge transfer and business networking, and we look forward to returning next year. US$ 22 billion - the total cost of projects currently being implemented in Oman. In 2019, two exploration contracts worth US$ 58 million were signed with Occidental Oman and Oman Oil Company E&P, paving the way for 19 offshore drilling wells to be set up in the Sultanate. Oman Oil Company & ORPIC merge, creating a fully-integrated oil company, with combined stakes of about 1.1 million b/d of refining capacity in Oman, India and Hungary. In progress: billion-dollar infrastructure projects such as the Muscat-Sohar Pipeline Project, Duqm Refinery Project, Liwa Plastics Industries Complex, and an integrated refinery complex with Kuwait Petroleum Corporation. Over US$ 10 billion has been invested towards transforming Duqm into a vibrant trading hub; including development of the China-Oman Industrial Park, that will eventually house Sino-GCC joint ventures spanning numerous sectors. WHY VISIT? GENERATE NEW BUSINESS Reconnect with existing customers and establish new relationships through extensive networking opportunities. GAIN MARKET INSIGHTS Gain insights into market perspectives and global supply and demand nuances through technical and strategic conference sessions. NETWORKING OPPORTUNITIES Connect with industry insiders in an informal yet business focused environment from NOCs, IOCs and service companies all under one roof at the world’s largest heavy oil gathering. HIGH LEVEL STRATEGIC SESSIONS Address key challenges and opportunities within the heavy oil sector worldwide. Hear from some of the industry’s esteemed advisors and keynote speakers on future developments for the heavy oil sector. There are people who say that Heavy Oil is a sun setting industry with the advent of renewables and there isnâ&#x20AC;&#x2122;t much to be had in heavy oil. Well you need to just be here to see the energy, vibe and attendance to actually see that people are hungry and thirsty and we want to make the best of the resources that we have been endowed with. Heavy oil is here to stay for a long time to come; and here, at the conference, we have been engaging, networking, and interacting on how to take back all the learnings and knowledge to continue to responsibly sustain heavy oil for decades to come. Steve Kelly President & General Manager Occidental of Oman Inc. The WHOC Technical Conference attracts case studies, project updates, and new technology research and development papers from over 30 countries operating within the heavy oil sector.